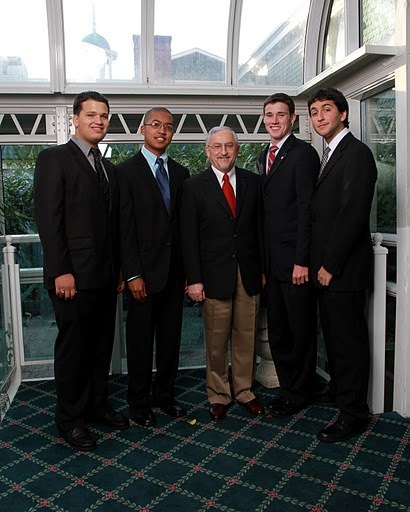 The Emily C. Specchio Foundation » Announcing our 2009 Emily C. Specchio Ambassadors! Announcing our 2009 Emily C. Specchio Ambassadors! The Emily C. Specchio Foundation is proud to announce the inaugural Emily C. Specchio Ambassadors. We started this program this year to encourage and support youth who have big ideas to make a positive impact on communities in need, whether it be local or international. Vincent, Timothy, and Kevin will receive $1000 up-front from The Emily C. Specchio Foundation, and will additionally receive 2:1 matching funds (up to $5000 total) for speaking engagements designed to inspire youth to make a difference. Follow their progress on this deserving project on their microfinance website!